Ray Charles - "I can't stop loving you " lyrics and musical score peak through the image . The original was pen and ink and acrylics on canvas. 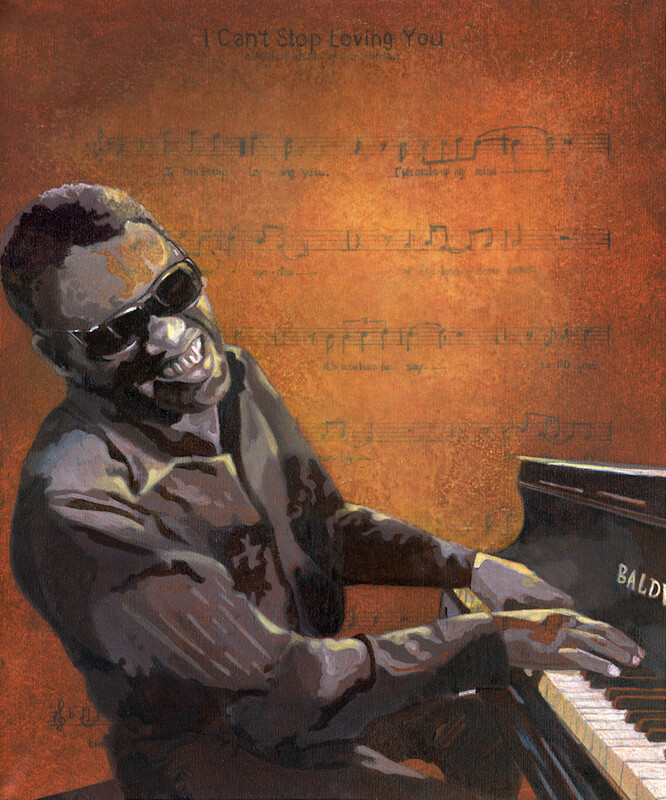 ​This is part of a series and can be grouped with Ray Charles and Satchmo for color compatibility. Please contact me for details on creating a custom painting with your favorite artist and song .